Talking to clients I sometimes get the impression they only want the big numbers which in their eyes represent the huge success of social media marketing. But they most definitely do not want the sweat, the effort and often the multiple frustrations that come for free on your path to social media marketing success. They talk about going „viral“ long before they even know what kind of value they are going to offer their followers on social media. They complain about not getting any traffic from social media, without questioning why after two years of tweeting they are still more or less talking to themselves on Twitter. They cannot believe that we (as consultants) are first talking about simple basics of social media marketing like a new setup for their blog with a nice and user friendly layout, including share buttons on their blog and the option of including pictures into their posts, when all they want is brainstorm something that will magically go “viral”. Honestly: Apart from “viral” not being a marketing strategy but a best case outcome of great marketing – how can you expect anything to go viral (or even be shared) in social media, if your content looks ugly and does not offer an easy way to share it. You will not have real success, if you do not get your basics of social media marketing right in the first place. It is not very clever to try to go for “big” before you succeed in getting the small things right. If you do not know what you want to achieve, you are probably going to fail. So much depends on your goals like your target audience, the brand perception you want to communicate, the content that you should use etc. The big success does never come for free! And it certainly does not come over night. Social Media: The big success does never come for free! And it certainly does not come over night. Provide real value on your social accounts! You cannot expect people to follow you if you do not provide anything of value. The simple existence of any social account will not make followers and fans flock to it. 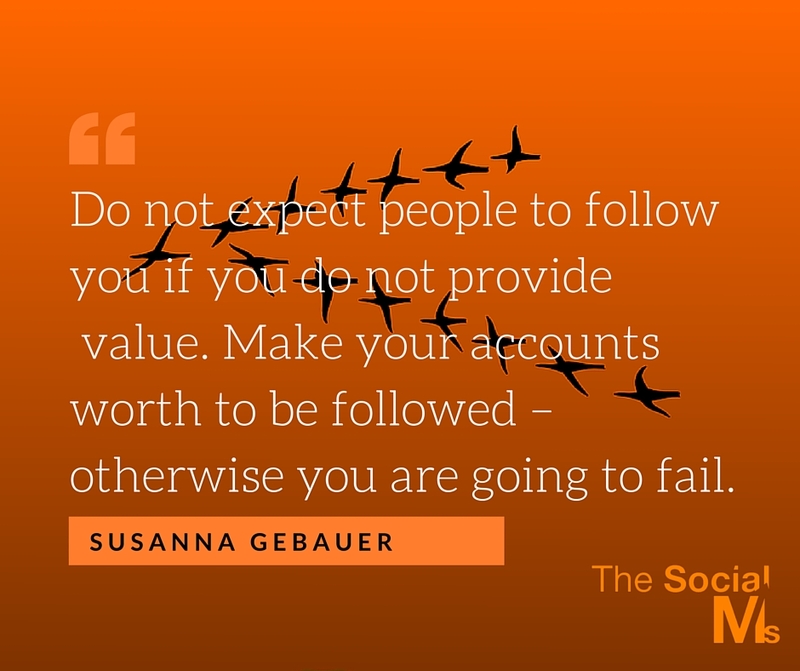 Make your accounts worth to be followed first – otherwise, you are going to fail. Most often it is the information, which you share and the content you provide which makes people interested in following you. It is not necessary that every piece of information or content is your own content. In this case, content curation is a legitimate way of providing more value to your followers without having to create the content all by yourself. It is the information, which you share, the value you provide which makes people interested in following you. Never forget that social media is about what your audience wants and not about what you want to sell them. Before you can even think about selling anything via social media (yes, selling in social media is totally possible) you need your audience to listen to you first. Make yourself (and your accounts) visible! When you are starting out you have one big problem: No one knows you exist. You have no audience to speak of. So even the best value on your accounts will pass by totally unnoticed. No, I do not believe that good content will rise to the top automatically. I have seen too many social media accounts and blogs talking to themselves for ages without knowing what they are doing wrong. You need to hustle like hell to change that and get yourself in front of an audience. There are multiple ways of doing it and all take effort, time and persistence to really make an impact. Here are a handful of ideas for finding an audience: Take part in conversations, follow some people you want to connect to, guest post on established blogs to borrow their audience (make sure to include your social accounts into the bio). Provide real value on your site! Most of us do not simply do social media for having fun on the social networks. We want to get people to our own site and have them consume what we provide there. But why should people visit your site, if your site is not interesting to anybody? Having a “buy” button is seldom enough. Especially if your product and brand is new, it rarely is sufficient to simply exist to get people to buy. You need to build trust and brand recognition. And one way to get there is to provide an endless stream of good informative content directly on your site. (Think about a blog, if you do not have one yet). Make it easy to share! You cannot expect people to spread the word about your business or content if you make this hard. Lacking share buttons, not providing brand messages people can use, no social accounts shown, … do you really expect people to do all the work for you? 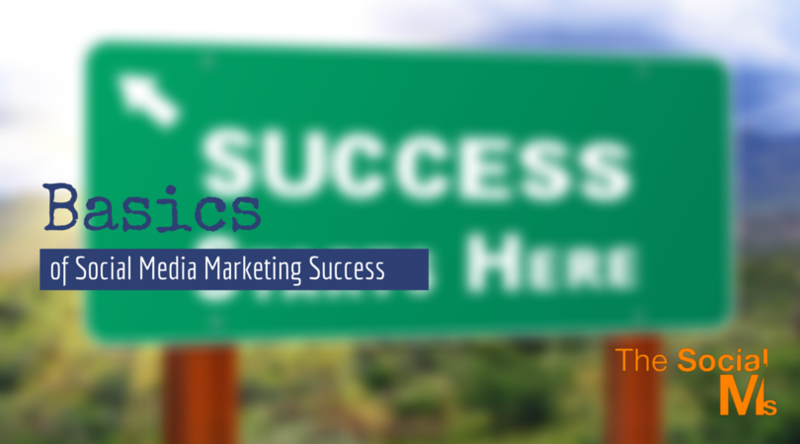 Social Media marketing success is not only based on the number of followers and fans you can reach by yourself. To a large part, it depends on other people spreading the word for you. But while you yourself will hopefully be willing to go a long way to share your own stuff, other people will not. Making it easy for them to share your content is a must – otherwise, they will simply not do it. Even if they were willing to do it in the first place. Make your own site visually appealing! This sounds like a given. But it seems not to be. If you have a website and you want it to give you results, then make sure that the people who find it don’t turn around in disgust. You can have the best content on your site if it is barely readable people will turn around and never bother again. And they will definitely not share it. Have a Call To Action! You would be surprised how many sites I visited (and left for good), where I never found out what they wanted me to do. Even the aforementioned Share buttons fall into this category. Whatever you want people to do: Make it clear! It is up to you to tell people what they should do. Do not expect them to be interested enough to use their own brains. More often than not they will not bother. It is a science in itself to perfect the call to action. Sometimes the color of the button or the placement of the button on your site can make a huge difference. The story you tell and how you present it is crucial. Once you manage to get people to your site, make sure to optimize on your end to get the most out of these visitors. Some of these points may sound like no-brainers to you – obviously, to many they are not. And without getting these basics of social media marketing right, you will have a hard time to get anything out of your social media marketing efforts. You cannot expect Return, before you Invest. And part of your investment has to be to get these basics right. without getting the basics right, you will have a hard time to get anything out of your social media marketing efforts. Many people have given up social media marketing with frustration simply because they were not willing to spend enough time and effort on the basics. The quicker you sort them out the faster you can focus on growing on social media: Growing Followers, growing traffic or growing conversions. Social Media Marketing: You cannot expect Return, before you Invest. 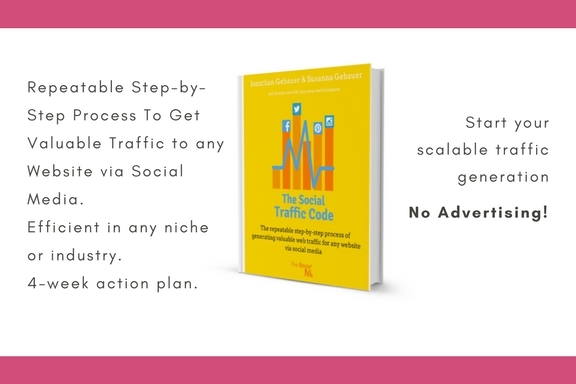 The basics are not enough to turn social media into a traffic generation powerhouse. You have to know the exact steps you have to take! We can teach you a proven process to generate loads of traffic to your content. We give you a step-by-step action plan to get a targeted audience to your content.